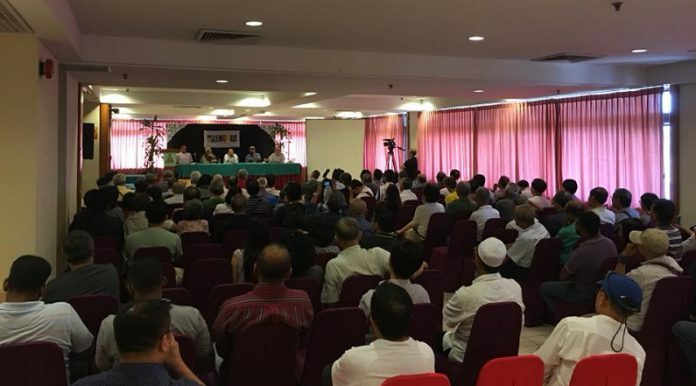 The 4-member panellists included Singapore exile Tan Wah Piow, Malaysian MP Hassan Karim, and popular activist Hishamuddin Rais. The title of the forum refers to how the Malaysian political opposition toppled the ruling Barisan Nasional coalition which had been in power for 61 years, in the general election in May this year. The events up north have raised hopes among supporters that the Singapore opposition can unseat the ruling People’s Action Party (PAP) in the next elections, due by early 2021. For those expecting Dr Thum to give them the thumbs up to such expectations, they would be disappointed. Instead, the founding director of Project Southeast Asia, an interdisciplinary research centre on Southeast Asia at the University of Oxford, had some sobering observations to offer. Dr Thum pointed to two factors which would make a Pakatan Harapan-type event taking place here unlikely, and in fact possibly undesirable. One, how the institutions here have been so utterly monopolised, from the mass mainstream media to the Law Society to the grassroots, that everything has become “centralised” under the PAP government. “Malaysia has never taken political control to the extreme that the Singapore government has,” Dr Thum said. The PAP’s 53-year rule has allowed it to indulge in social engineering to a degree that is impossible in Malaysia. This allowed Malaysians to participate in political affairs more than their counterparts in Singapore. 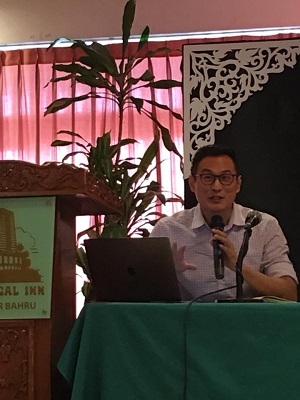 The second factor which Dr Thum took pains to explain was how the events in Malaysia came about because of a split in the ruling party – the Barisan Nasional coalition, in particular within the United Malays National Organisation (UMNO). If the same were to happen in Singapore, it may not be a good thing because the inspiration behind the Malaysian opposition’s victory may not have changed much – elitism. The positioning of UMNO was one of a Malay national party, he said. It stands up for Malays. This, however, made it vulnerable to other parties who claim to be more Malay than UMNO. UMNO’s positioning was Malay nationalism. Dr Thum said the issue that could bring down the PAP is not one which is values-driven. But a split in the PAP is possible. “But I’m not sure this is the healthiest thing for Singapore,” Dr Thum said. “If you think about it, who replaced UMNO, and how they were able to replace UMNO,” he asked. “Who led the main opposition to UMNO? The only men who were unimpeachably more Malay nationalist than them. The men who are responsible for how Malaysia is today. 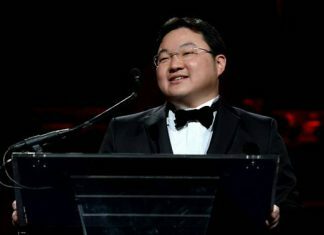 And the question is: was he acting to take down a self-serving elite to create Malaysia Baru; or was he acting in defence of a self-serving elite against a prime minister (Najib) who was jeopardising the position of the elites? In other words, was Mahathir acting to preserve or protect the privileges of the elite who may have felt being let down by Najib’s corruption. “And in Singapore, we have a parallel situation,” Dr Thum said. “We have an elite who will act in defence of their privilege. Their (composition) is, of course, different from that in Malaysia. Who is the Singaporean elite? “Michael Barr did a good job of narrowing down their characteristics: male, ethnic Chinese, English-educated, scholarship holders, ex-military rank,” Dr Thum said. “You notice many of these characteristics have become shorthand for competence, intelligence. That’s been the result of sustained campaigns to think of competence, performance, intelligence, elitism [as] merits in that way. Dr Thum cited the examples of the MRT system in Singapore where despite massive and regular failures of service standards, the higher-ups in the company have been left unscathed. Dr Thum also raised the example of DPM Tharman Shanmugaratnam, and how despite all his credentials, he has been ignored as a potential prime minister by his own party. “As they increasingly prioritise the protection of the elite over competence, as the elites pile up failures and avoid accountability, voters will detect this and punish them. That is, would a PAP faction breakaway in order to protect the privileges of the elite class which they may feel is not being protected by the ruling PAP; or is it breaking away to fight for a more egalitarian society? If it is the former, it is not the healthiest way forward “because you end up with the same unhealthy status quo,” said Dr Thum. What he hopes to see happen in Singapore is what has taken place in the past, when Singaporeans voted for those whom they felt merited their support, and not based on other factors such as race or religion or being part of an elite class. “We should follow a Singapore model,” Dr Thum said. “We are a country which had democracy, limited democracy, but democracy in the 50s and 60s, and we made good choices with our votes. We elected David Marshall… and later when he failed to fulfill his campaign promise, he resigned out of principle. He is the only Malayan leader to ever resign out of principle. “I hope we preserve this willingness to elect the best, most competent people regardless of language, race or religion,” Dr Thum said. “And that is the key difference when you ask: can Singapore do a Malaysia? I’m not sure I want Singapore to do a Malaysia. The victory of Mahathir is possibly, probably, maybe an action to protect elite privilege, which is why he was able to defeat UMNO. And that is not really what I want for Singapore. I want a country which elects the best regardless of language, race or religion.